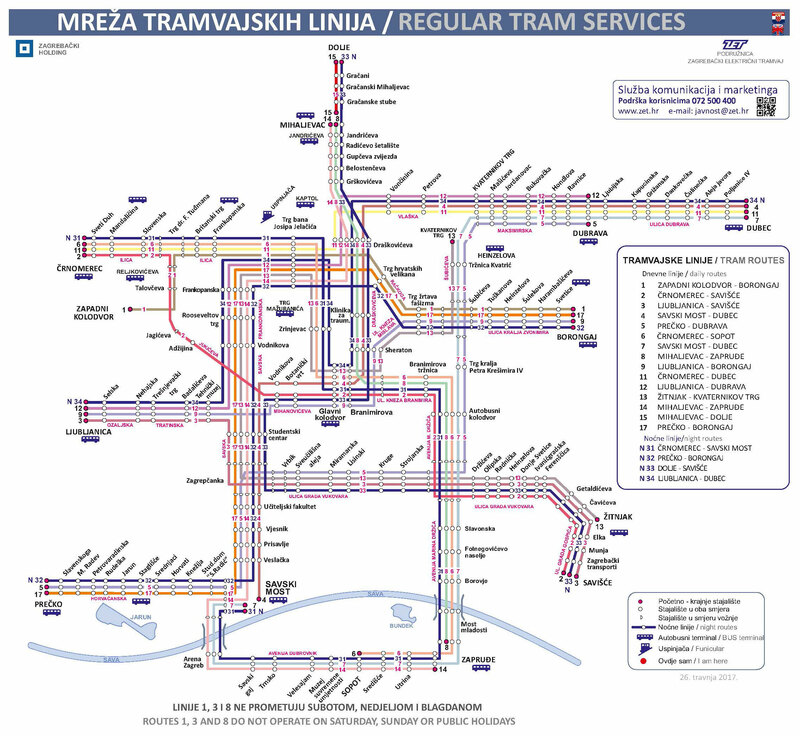 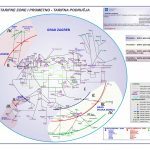 To download the below day tram map for Zagreb in high quality, click here. 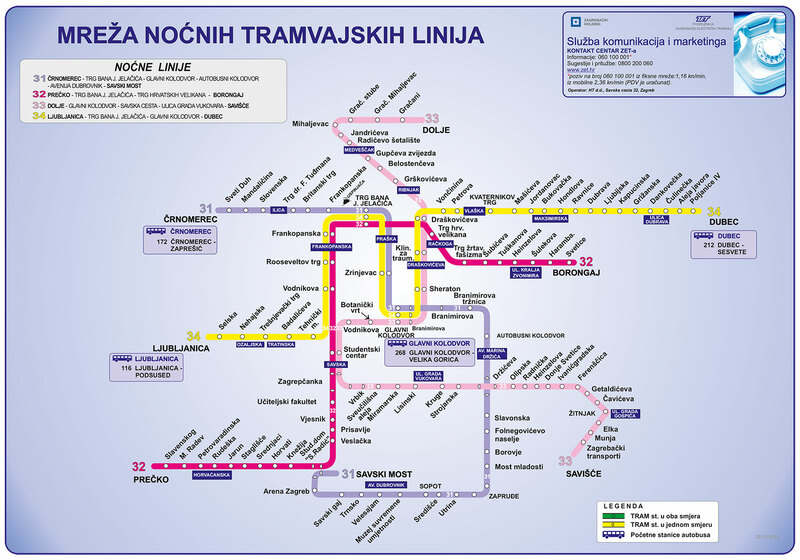 To download the below night tram map for Zagreb in high quality, click here. 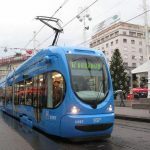 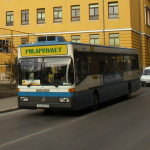 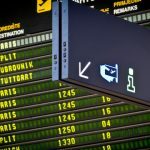 For more information regarding the ZET Zagreb Bus and Tram system including costs and time tables, visit this page.